To all our Hispanic friends. 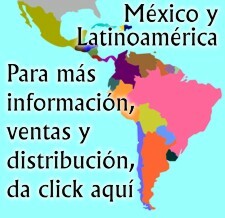 We now have an affiliate organization in Mexico , offering a Spanish speaking version of our website and individuals You can now discuss your issues in your native tongue and have all your questions on CES answered promptly and fully. This entry was posted in Inflammation on November 12, 2013 by cesadmin. Dr. Mercola’s top guidelines for promoting good sleep. Sleep in complete darkness, or as close to it as possible. Even the slightest bit of light in the room can disrupt your internal clock and your pineal gland’s production of melatonin and serotonin. So close your bedroom door, and get rid of night-lights. Refrain from turning on any light at all during the night, even when getting up to go to the bathroom. Cover up your clock radio. Move alarm clocks and other electrical devices away from your bed. If these devices must be used, keep them as far away from your bed as possible, preferably at least three feet. This serves at least two functions. First, it can be stressful to see the time when you can’t fall asleep, or wake up in the middle of the night. Secondly, the glow from a clock radio can be enough to suppress melatonin production and interfere with your sleep. Cell phones, cordless phones and their charging stations should ideally be kept three rooms away from your bedroom to prevent harmful EMFs. There’s convincing evidence showing that if you do not sleep enough, you’re really jeopardizing your health. Everybody loses sleep here and there, and your body can adjust for temporary shortcomings. But if you develop a chronic pattern of sleeping less than five or six hours a night, then you’re increasing your risk of a number of health conditions, including weakening your immune system and increasing your risk of degenerative brain disorders. If you’re feeling anxious or restless, try using the Emotional Freedom Techniques (EFT), which can help you address any emotional issues that might keep you tossing and turning at night. This entry was posted in Insomnia, Sleep Problems and tagged ces research, ces therapy, ces ultra, cesultra, cranial electrical stimulation, cranial electrotherapy stimulation, insomnia, insomnia treatment, sleep problems on November 9, 2013 by cesadmin.